On Monday, April 4, 2018 of Bethesda, MD. Beloved wife of the late Morris Shweky, devoted mother of Robin (Tony) Baker and Cindy Queen. Loving sister of the late Manny, Jack and Leo Rishty. Also survived by her beloved grandchildren, Alexandra (Brad) Rohrer, Taryn (Daniel) Daynham and Griffin Queen; great-grandchildren, Baylee and Bodee Rohrer and niece, Honey (Ronnie) Ogens. 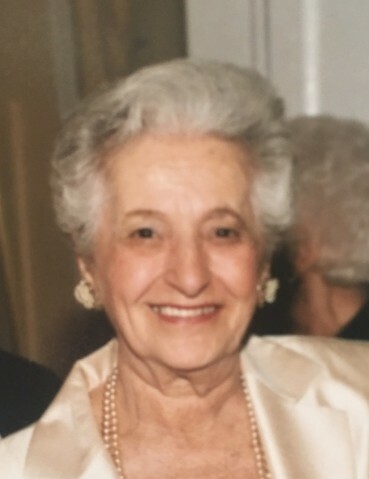 She leaves behind a large, adoring extended family in Maryland and New York, and generations of loyal and loving customers at Robcyns, who have become family over the years. Graveside services will be held Wednesday, April 4, 2018 at 1 p.m. at King David Memorial Gardens, Falls Church, VA. Family will be observing Shiva at the late residence on Sunday, April 8, 2018 with Minyan at 6 p.m. Memorial contributions may be made to St. Jude's or Children's National Medical Center, Washington, D.C.